It's time for our Annual Drive Green Event! Join us at Living History Farms on May 18th for a day of play! 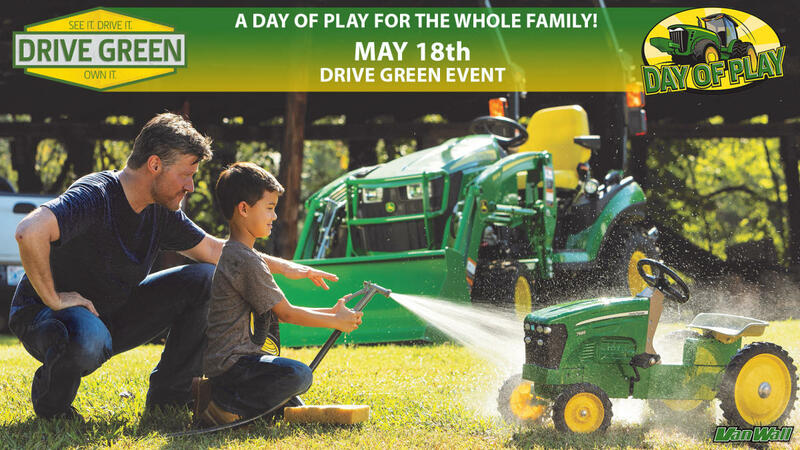 Now's your chance to test drive brand new utility tractors, commercial zero-turn mowers, gators and more! Plus, you'll receive some awesome coupons when you do a test drive! We also have a lot of fun kids activities planned. The kids will really enjoy the FREE ride on a huge John Deere Farm Tractor or an enormous John Deere Combine! Plus, they will have the chance to enter to win a battery powered John Deere toy riding tractor! 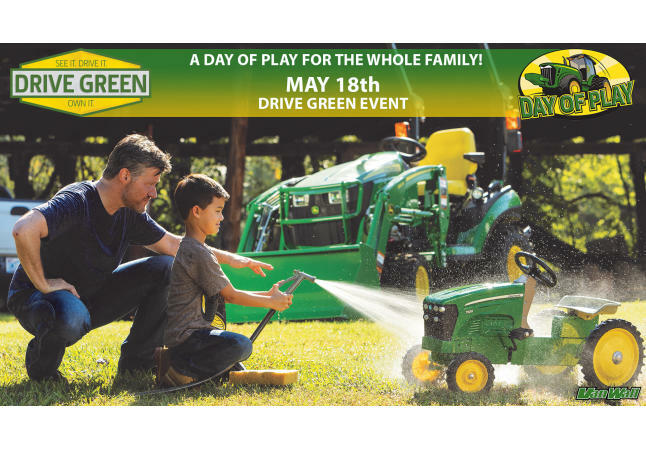 Stop by our Drive Green Event on May 18th and enjoy a FREE lunch, demos, rides, prizes and more!